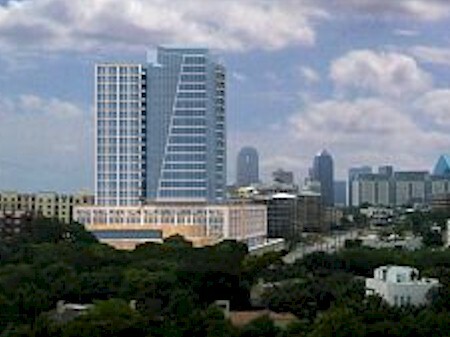 The Dallas City Council approved this hotel property in May 2008, and it is expected to contain 70-80 condos. The developers say they plan to open it in time for the 2011 Super Bowl. The condos will be priced at approximately $1,000 a square foot. The complex will also contain two multi-million dollar tri-level town homes overlooking the Katy Trail. Haven’t seen any signs of breaking ground though. Must be a sign of the times! Frankly, I doubt it will ever be built.